All of sudden after waiting for some considerable time for positive news about Ascension, you are finding that a number of sources are receiving positive information. You are now repeatedly being informed that the 28th. September is the high point of the month, as the day on which the photon energies peak. Not only that, but to a level that has not been previously experienced. If you ever had any doubts about the progress being made towards Ascension, they have surely now been removed. You will now begin to realise that so much has been happening “behind the scenes” that you were not aware of previously. As you have often been told, that has been in the interests of keeping our plan secret for as long as possible. Different civilisations have been involved in the action, not least of all the Shelves *) from the 6th. dimension who have suddenly made themselves known to you. They are of the Light and will ensure that you succeed in making your way through to Ascension, and they will not allow the dark Ones to carry on interfering with your progress. As you look back you will realise that since 2012 there has been steady progress made, until suddenly you have found your place in the New Age and nothing can stop your completion. As many of you may have already found out, the Shelves have arrived in your Solar System with their “home planet” that is now helping to deflect some of the powerful energies reaching you. Otherwise some of you may become overwhelmed by the full force of such powerful energies. These are all signs of the progress being made on many fronts that will soon lead to Ascension. Which souls ascend is entirely due to the level of their vibrations, so it is essential that you apply yourselves to keeping your focus on your goal. It is natural that you will be concerned about your loved ones, but be assured that all souls will find themselves exactly where they are intended to be. The cycle that has just ended unlike earlier ones, will not end in disaster but in success as all of you that are ready will move on and no longer be held back. Some souls will ask how they will know if they are ready to ascend and the fact that they have made efforts to be ready for such an occasion, suggests that they have successfully prepared themselves for it. Continue as you have done previously and do not worry about your future, as many Guides that travel with you will ensure that you find yourself exactly where you are intended to be. Some souls will continue at their present level in a similar dimension to the present one, where they will continue to experience the challenge of the 3rd.dimension. Mother Earth is also ascending and will no longer be tied to the lower vibrations. A beautiful Earth will arise out of the ashes of the old one where peace and love reside. No longer shall you be subject to those who carry the negative energies, or their actions that bring down the higher vibrations of the Light. Simply put, they cannot survive in the higher vibrations that are for souls who have moved past the need for further experience at that level. Wherever you are in the world the new energies will change the old ones, and Ascension will give the same opportunities to all souls regardless of their background. It has been the same ever since your journey started eons of time ago. All souls have been assisted through their various lives, even if they have been unaware of the presence of their Guides. As the vibrations rise some souls will begin to have an awareness of them and ultimately are able to converse with them. Bear in mind that many of you leave your sleeping bodies each night and meet them, when your needs are discussed and help given to you if so desired. You are never left alone to fight your battles through life, although it may seem like it when the odds seem stacked against you. We would remind you that you agreed to life’s tests before you incarnated, having accepted the need to learn certain lessons to further your evolution. If you had a waking memory of your previous lives, you would be amazed at the rapid progress you have made. Indeed, there is not a quicker way available to you even in the next dimension. Be assured that all of you at present on Earth have been chosen because of your particular needs, and your previous experience. However, it is also necessary to have souls from all levels to create a complete society that gives all of them the experiences needed to evolve. Life may seem to be mixture of experiences that seem to have little purpose, but we can assure you that they are carefully planned and carried out by your Guides. As you might understand, at this particular time it is a matter of tying up the loose ends to ensure you are completely prepared to ascend. You have no doubt had the experience to find that some souls have no interest whatsoever in Ascension, because they have not raised their consciousness to a sufficient level to understand what it means. However, as we often point out, it does not matter in the greater scheme of things as all will eventually complete their lessons in the 3rd. dimension. You now stand at the beginning of another grand adventure, but this time you will choose the path you wish to follow. After all the experiences you have gone through you can sit back and enjoy the changes as they come along. Clearly there is still work to be done and patience needed whilst the old energies are played out. You in the know can be of great service to those who are awakening and need help to understand what is happening. As you can imagine, the truth will come as a shock to most people, but the changes are to be welcomed as they take you to a level where love and peace reign. Any remnants of the old vibrations will gradually disappear or be removed, as the benefits of the higher dimension lift you up. We believe that many of you will begin to feel the benefits of the rise in vibrations, and it should bring a peace of mind and a happy feeling that at last you can fully enjoy the Light that is increasing all of the time. Life is to be full of purpose and uplifting and the old days of chaos and uncertainty will fade into the background having served their purpose in helping you evolve. The journey back to the higher vibrations has been long and arduous, but every effort put in will have been well worth it. At some stage you will be able to review your many lives and history, and then you will have a full understanding of your experiences. They will help you in your choice of further opportunities to take your evolution to the next step. I am SaLuSa from Sirius, and always please to address you particularly at such an important time. Your understanding of life has moved forward in leaps and bounds and it will continue to speed up as the greater truths are made known to you. Until you truly understand your remarkable achievements you will be unable to grasp exactly how great they are, and why you are looked up to by other civilisations who have followed your progress.. I leave you as always with my love and blessings, and trust you will find the strength to see the goal ahead of you that is now so near. You now face some interesting developments that shall be the commencement of many exciting changes, and leave you in no doubt that the New Age is truly under way. You are rising up with Mother Earth who has her own Ascension to deal with and looks forward to carrying you up with her. Your actions that are positive will help speed up events and ultimately it is the collective vibrations upon Earth that will determine when you ascend. You have come a long way to reach this most important time in your evolution and the feeling of completion is growing as all souls have the opportunity to lift up. You can help each other through the more challenging times by keeping fear at bay, as the outcome is assured and will take you back to the Light. This message originally received via email notification and also found posted on Galactic Channelings. As many of you are aware, this September is a pivotal point when the vibrations shall substantially increase. How it will affect you depends on your existing level, but the net result will be such that many will experience upliftment. The overall effect will mean a noticeable change that will bring a more peaceful outlook, and a general expression and desire for a cessation of warlike actions. Indeed, the desire for peace will grow substantially, and those in authority will be bound to implement the changes that will bring it about. There will be no going back to the old ways and as the influence of the Illuminati has been curtailed, the people will be released from their control. The desire for change has been growing for quite some time, and the point has been reached when it can no longer be denied. Many souls are ready to leap into action when it is safe to do so, and that time has almost arrived. They will be supported by groups who are of the Light who will ensure that their actions are allowed to go ahead without interference. As you can imagine, there are ones who are deeply engaged in keeping things as they are, and loathe to give up their rich lifestyle for a fairer distribution of wealth. However, no one can prevent the changes from manifesting, so face the changes with faith in the future, as given time all the promises made to you will manifest. Allow adequate time for the changes to be implemented that should come quite quickly once the “ball starts rolling”. So much goes on behind the scenes, and you have been kept in the dark and denied your right to share and enjoy the advances that would have benefitted all people instead of the privileged few. However, that situation is beginning to change and when those who are holding you back are no longer able to dictate how you live, the changes will start to be introduced. Over a long period of time you have been given ideas of what that will mean to you from which you will know that a tremendous upliftment awaits you. For example, many new advances have been blocked and shelved by the Illuminati, but soon there will be nothing to stop them from being released. They are such that you will eventually become very independent and not held to ransom for the necessities of life. Even now there are inventions waiting to be introduced that will make your lives so much easier, but those in the greatest need must be uplifted first. Those of you who are aware of the present situation on Earth are in a great position to help your fellow man to keep calm and so to say “ride the storm”. As there will be difficult times for some of you depending on where you live, and who currently governs your country. The right people are known to us and they will be installed as soon as possible, but that requires a diplomatic and lawful approach. As you are beginning to grasp, there is much to do to change the set up that has held you for so long in the grips of the dark Ones. However, we emphasise that their time has passed and in the course of the next few years they will become less and less able to exercise their influence. So you can plan for the future knowing that you are going to return to your rightful place as free souls. Meantime we maintain our “policing” of your solar system to ensure that no unwelcome visitors are allowed to interfere with your final return to the Light. There are other civilisations that would like to contact you, but until the time is right they will have to keep their distance. Most contacts come in peace and are eager to share their knowledge with you, but some have ulterior motives. Be assured we are here to ensure you complete your journey as you desire, and eventually return to the freedom given you by becoming Galactic Beings once again. In reality you can never stand still as all around you evolution continues and as God “Breathes In” you enter higher and higher vibrations. The 3rd dimension as you know it has finished its course and that is why changes are taking place all around you. For you who are ready to move into the higher dimensions it is more than ever necessary to keep focussed on your path ahead. Some of you could be distracted by what is going on around you, so try at all times to allow negative situations to pass you by. At this stage you must allow others to follow their own path, but by all means offer help to those who approach you first. When the time is right your knowledge will be called upon and it is wise to only release it where it can benefit others. Bear in mind that your Guides are impressing you with sensible ideas that will ensure you complete this lifetime as you have planned. In can involve finding a useful source of information, or meeting up with a contact who can advise you the best path to take. Any deviation will mean that some lessons may have to be relearnt, but in that event it should always be easier the second time around. As time progresses you will learn a lot about your journey through the matter, and why it has involved the experiences you have had. As a result you have evolved much further and quicker than you would otherwise have done, and will pass your knowledge on to others. When the time is right for a step forward you are always helped to make it, although you may prefer another path which you will be helped to find. However, you will be encouraged to follow the most rewarding one so as to avoid wasting time. However, no matter what options you choose, all souls eventually find the Path of Light. Your gift of freewill is always honoured and as a result you are always learning in a way that is sure to aid your personal evolution. Slowly but surely you are being given information about other life forms as you will soon meet other types of Beings, some of whom are quite different to your human form. They will nevertheless be similar in some respects, but most importantly are intelligent Beings that in many instances are much more evolved than you are. However, not all older species are necessarily more evolved than you, as some have devoted more of their time on personal evolution as opposed to spiritual evolution. As you progress into the higher dimensions you will eventually find that you have less need for a permanent body. Yet when you are going to need it, you bring it into being with your power of thought. As you evolve spiritually you will find quite a few differences to your earthly experiences as the lower vibrations tend to hold you back. 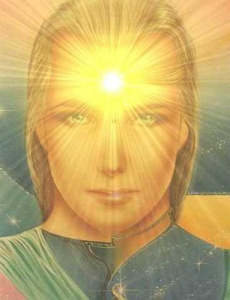 I am SaLuSa from Sirius, and pleased that so many souls on Earth are now awakening to the truth. Sometimes it is difficult to discard beliefs that prove to be incorrect, but if you are to evolve you cannot afford to be too rigid. Always be ready to accept the greater truth if you wish to grow with your experiences. No one can stand still for long, particularly in your present circumstances when changes are happening all around you. However, caution must be exercised as misinformation is still spread to confuse you, so trust your intuition as far as possible. I wish you every success in your ventures and my love goes with you as always. This message originally received via email notification and found posted on Galactic Channelings. Matters continue to ferment and chaos exists in many countries, as the old ways are proving to no longer cater for your needs. The problem has grown so big that it requires massive changes to put your civilisation on to a new track that will take you into the New Age. The changes are now under way and are irreversible as the new must replace the old to take you out of a system that no longer covers your needs. It is a disturbing process for many who have little or no understanding of what is taking place, yet as the answers are seen to come with a new approach to your needs, people will rise up to the occasion. As always we will direct those who have a major role to play in bringing the changes about. They cannot be achieved without a measure of hardship, but we will ensure that it is kept to a minimum. Keep holding a positive outlook as the plan for your future has been well established. You will be more than pleased at the outcome. For too long you have been as you might say “led up the garden path” and have been deliberately kept in the dark as to the truth of your potential and reason for experiencing duality. It has been a great learning curve that has enabled you to lift yourselves up from lives of limited consciousness, to ones that will awaken you to your true potential. As we have mentioned many times, you are far greater than you imagine but have been deliberately misguided by false teachings, and the limitation of your consciousness. All that is changing at a rapid speed and more souls are awakening to their true selves. You are coming out of a long period of darkness into the Light and nothing can now prevent you from going all the way to full consciousness. It is already evident by the number of souls who have awakened, and are leading you along the path to full enlightenment. There are some souls who cannot lift up their vibrations, but be assured that they will be given every assistance to direct them towards the Light. There is no point in trying to “run before you can walk” and their Guides will help such souls to awaken to the truth. Once you commence to realise how you have been kept in the dark, it becomes so much easier to grasp the truth of your being. You are in essence all great souls that have undertaken to experience duality, to deal with the challenges that it brings up. Over many live you have touched the depths of darkness, yet have never lost touch with your higher selves. As a result many of you have eventually found your true path that is leading you back to full consciousness. Once you start to awaken there is no going back to the old ways, and those souls of the Light will bring about a complete change in the way you lead your lives. We have followed your progress for eons of time, and consider your achievement in regaining your consciousness levels to be remarkable over such a short period. Your history shows what happens when souls lose touch with the Light, and in consequence how difficult it has been to rise up again. However, you have proved that it is possible and today many of you lead the way forward. In so doing you are also bringing others with you and so the re-awakening gathers pace. You are to be congratulated on having risen to the occasion and its needs, and nothing will be able to stop your onward progress. For a long time those awakened souls have been shunned by others who have been unable to comprehend the truth, but that is changing as the vibrations continue to rise up. Very soon there will be another major upliftment in your consciousness and the truth will come to many more souls. We are so close to you now and are openly visiting your Earth, so much that most people accept our presence in your skies. Because of our highly advanced technology your weapons pose little danger to us, and many of you know that we have put many of them out of action when a threat has arisen. You have many recorded instances of our craft being seen over your nuclear sites, and taking action to prevent you starting another war. We have been successful in maintaining world peace on Earth but have to allow the what we call minor confrontations because of karmic reasons. We will however monitor such happenings so as to ensure that they do not get out of hand. There will eventually be an end to all wars and lasting peace upon Earth will be achieved. Your future is assured and the changes you are now experiencing are part of the cleansing that is taking place. Or a long time now we have been using our influence to guide your scientists along a path that will result in a peaceful world. However, we cannot intervene if others still support the weapons of war, but will ensure that they are not used to risk a worldwide war. The Earth has been subjected to nuclear devices on many occasions, but they will not be allowed to be used again and we are here to ensure that you are protected. You have freewill but as you enter the New Age a new future awaits you, that no longer allows wars that bring widespread death and destruction that has previously occurred. Peace for all people will be possible once the presence of the dark One is removed. You will not have too long to wait for world peace to be declared, but there is much in the way of necessary changes that will be needed. In the meantime we shall continue with our monitoring of Earth’s activities, including those of Mother Earth who is also involved in the changes that are occurring. The upheavals are necessary to allow the greater changes that will result in a new Earth, cleansed of all the residues of centuries of neglect and the poisoning of the land and seas. It may look to be an almost impossible task, but with our advanced knowledge and unlimited resources it will not take very long to achieve. We are in fact already prepared to go ahead with Mother Earth and restore it to the pristine condition it was in many Ages ago. These tasks could not be handled by you with the limited knowledge you have, but we will be on hand to assist you once the cleansing can commence. We know that many of you have expanded levels of consciousness and understand how the truth has been misrepresented to keep you in the dark. Be assured that when the time is right there will be no delay in acquainting you with your true history and the glorious future that awaits you. You may have had visions of a new Earth but in reality it will surpass your idea of what lies in store for you. All of the tears and disappointments that you have experienced will seem to count for nothing when you see the marvellous changes taking place. The beauty and wonders that will be yours to enjoy are far beyond your present imagination. Dear Ones, so much is now happening that although we have only been away from you for a short time, events are forever speeding up and in a relatively short time they will reveal our intentions to you. There has never been a time when we have not been active, but for reasons of secrecy to avoid interference from the dark Ones, we have always been quietly working away. The stage has been set for an announcement of our intentions, and once that step has been taken they will escalate into a whole series of them. You have patiently waited for such a time and when it arrives you will not be disappointed. We are more confident now that we have curtailed the power and influence of the dark Ones, and we aim to keep their activities in check under our watchful eye. I am SaLuSa from Sirius, and pleased to be able to release more information at a time when so many of you are ready for the truth. There is a lot more to reveal but all will come in good time, and we certainly do not want to overwhelm you with too much at one time. We know that given a little of the truth gets you thinking of other possibilities and as you do so, your Guides will impress you with even more. Clearly many souls are not ready for the truth, and it will not be forced upon them. Some are still in the grips of a version of the truth largely given through religious teachings, but where these are in error their teachers will themselves become awakened and alter their approach. Keep good faith and never fear for what the future holds for you. Know that much love goes with you on your journey.